謹代表籌備團隊，歡迎所有朋友蒞臨台灣 Python 年會，有您的參與和付出，我們才能打造逐年成長的 PyCon 活動，這份豐碩成果，來自全體 Python 愛好者的貢獻，在此獻上由衷謝意。特別感謝我們的贊助商，包括 KKBOX、玉山銀行、趨勢科技在內的廠商夥伴，創造價值的路上有你們同行，真好! Welcome to PyCon Taiwan 2016. Thank you all for attending and making our event successful. We appreciate your contribution and participation, that is essential to the community. Special thanks goes to our fantastic sponsors, who help keep this event accessible to the widest group possible. 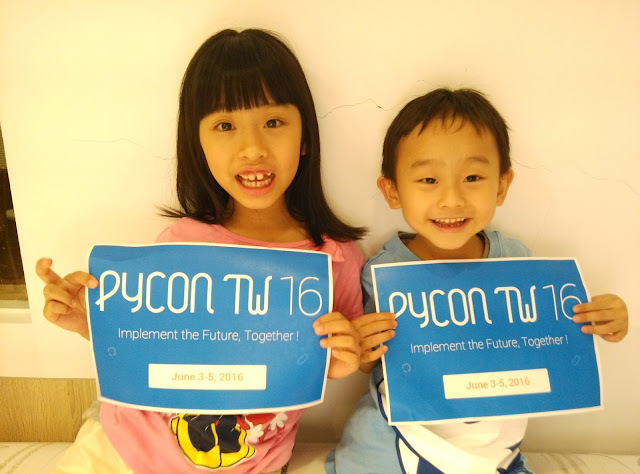 Each year we bring new ideas into the PyCon Taiwan event. For example, this year we invite local hackers as keynote speakers for the first time, and arrange a FinTech session to outreach for the wider audience. That said, what makes a PyCon unique is the convention that we keep carrying out for years. For example, the idea of Value First, Code of Conduct, Everybody Pays, Financial Aids, and Community Diversity. So, here you are in the PyCon Taiwan venue, please keep engaged and enjoy everything around you, that I’m sure will be an amazing experience. Python is a great programming language, supported by a great community, which is vast, diverse, and aims to grow. Every Pythonista knows that import __future__ enables new language features which are not compatible with the current interpreter. You are encouraged to embrace this idea to create a better world. A better future is not taken for granted. We, together, predict the future by implementing it.